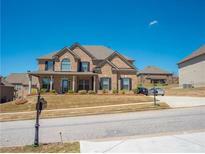 Below you can view all the homes for sale in the Ozora Lake subdivision located in Loganville Georgia. 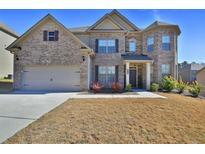 Listings in Ozora Lake are updated daily from data we receive from the Atlanta multiple listing service. To learn more about any of these homes or to receive custom notifications when a new property is listed for sale in Ozora Lake, give us a call at 404-998-4113. All Of This In Active Swim/Tennis Neighborhood In Sought After Archer Schools! Hurry! MLS#6537259. Keller Williams Realty Atlanta Partners. This Homes Comes With Many Upgrades Including A Double Oven, Coffered Ceiling In The Dining Room And Bronze Lighting And Plumbing Fixtures. MLS#6535027. Keller Williams Realty Atl Part. Dont Miss The Video Tour To Get A Great Feel For The Layout! MLS#6515838. Sellect Realty Llc. Two Front Facing Bedrooms With Private Entrance To The Second Level Balcony, And 5Th Bedroom And 2 Additional Baths. MLS#6512367. Virtual Properties Realty.Com. Builder'S Warranty And The Pestban System Installation Is Standard. MLS#6508287. Kfh Realty, Llc.. Builder'S Warranty And The Pestban System Installation Is Standard. MLS#6508325. Kfh Realty, Llc.. Builder'S Warranty And The Installation Of The In-Wall Pestban System Are Standard. MLS#6508305. 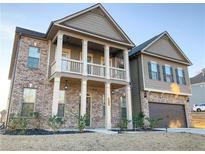 Kfh Realty, Llc..
Pictures Are Of A Finished Home With The Same Floor Plan, And Not Of This Actual Home. MLS#6123711. Kfh Realty, Llc.. Builder'S Warranty And The Pestban System Installation Is Standard. MLS#6035209. Kfh Realty, Llc.. Builder'S Warranty And The Installation Of The In-Wall Pestban System Are Standard. MLS#6035228. Kfh Realty, Llc.. Some Pictures Are Of A Finished Home With The Same Floor Plan And Not Of This Actual Home. MLS#6035176. Kfh Realty, Llc.. Some Pictures May Be Of A Finished Home With The Same Floor Plan And Not Of This Actual Home. MLS#6035206. Kfh Realty, Llc.. Builder'S Warranty And The Pestban System Installation Is Standard. MLS#6034584. Kfh Realty, Llc..